“VITAMINS ARE A WASTE OF MONEY!” suggests the headline. Very provocative. The author of the article, an MD, says most vitamins don’t help prevent disease and could actually be harmful. “Stop wasting your money,” we’re told. ‘just plain folks’ who feel they’ve benefited from their supplements. Some of them mention that pharmaceuticals they were taking previously caused much more harm than any supplement they’ve taken. And others offer links to recently published research that contradicts the claim that supplements are a waste of money. No wonder we feel so overwhelmed by all the contradictory advice! What are you gonna do? Well, as those of you who’ve been to one of my presentations know, I’ve got one gold standard for what you’re doing: Are you happy and healthy? Then keep doing it! If not, try something else. of Huna.) In other words, if what you’re doing is working for you, who cares what anyone says about it! We are each unique – genetics, lifestyle, stress levels, fitness, etc.. So find the routine that works for your body. Don’t let the ‘experts’ wrap you up in their agendas or fear … whatever ‘side’ they’re on. 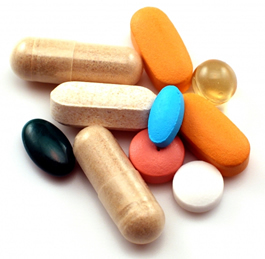 Vitamins And Supplements A Waste Of Your Money? 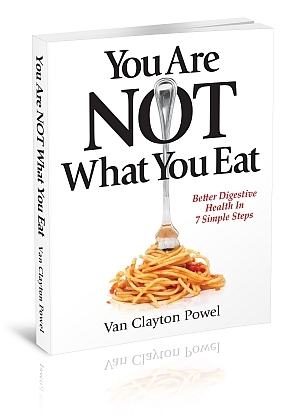 Van Clayton Powel, author of the digestion book “You Are NOT What You Eat” and being called the ‘Digestion Guy’. returns to Victoria , BC. 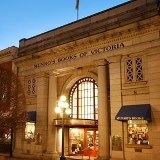 ‘DIGESTION GUY’ RETURNS TO VICTORIA this week! 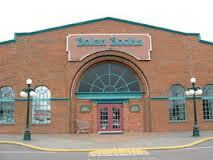 Wednesday, May 8, 3-4 pm on CFAX 1070 with Terry Moore. Call in with your questions!